Indiana University East hosted its Annual High School Speech Tournament on December 10 in Whitewater Hall. Warren Central High School was the team sweepstakes champion. Over 200 students from 14 Indiana regional high schools competed in 14 events. 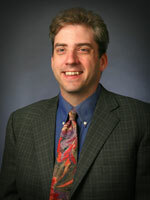 Elliott McKinley, assistant professor of music and music program coordinator, knows that his work as a composer will ultimately enhance the learning experience of his students in the classroom. Active as a professional composer, he has composed music that has been performed throughout the United States, Canada and Europe. 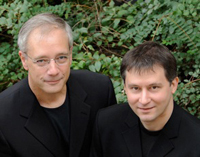 Indiana University East will host David Gompper, piano, and Wolfgang David, violin, at 7:30 p.m. on Tuesday, November 8, in Vivian Auditorium. This event is sponsored by Mindful Explorations, courtesy of the William H. and Jean R. Reller Endowment. Katherine Frank is the new dean of the Indiana University East School of Humanities and Social Sciences. 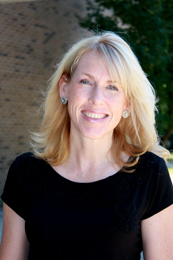 Frank, who also is a professor of English, began her duties as dean on July 11. The Indiana University East Annual High School Speech Tournament will be held from 8 a.m. to 3 p.m. on Saturday, October 30, in Whitewater Hall. The tournament is free and open to the public. 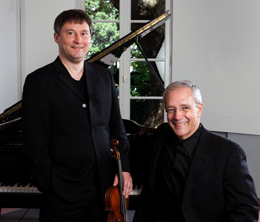 Indiana University East’s Mindful Explorations series presents David Gompper, piano, and Wolfgang David, violin, at 7:30 p.m. on Tuesday, September 28, in Vivian Auditorium. This event is sponsored by Mindful Explorations, courtesy of the William H. and Jean R. Reller Endowment. Richmond and Wayne County, Indiana, is an area rich in history. Now through a partnership to receive a United States Department of Education grant, Richmond history teachers will be able to research the county’s roots in industrialization, entrepreneurship, social justice and transportation. 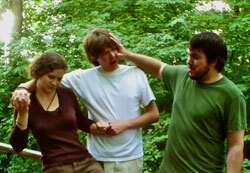 Indiana University East students will perform Shakespeare’s A Midsummer Night’s Dream August 12-14. The outdoor performance will be staged by the bridge, accessible from the Tom Raper Hall parking lot.